Sport Limited Edition Print: This limited edition print looks awesome. 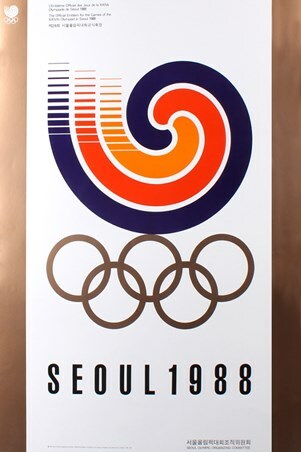 It is a fantastic way to remember the Seoul Olympic games which took place in 1988. 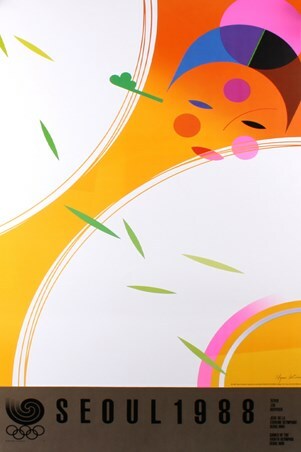 This promotional poster looks absolutely stunning with the bright, deep colours of oranges and pinks which looks splendid against the abstract, oriental design. If you are a sports fan, or simply love this art print, by artist Kim Hyun, then hang it in your home and let it gently add to the aesthetics of your surroundings. 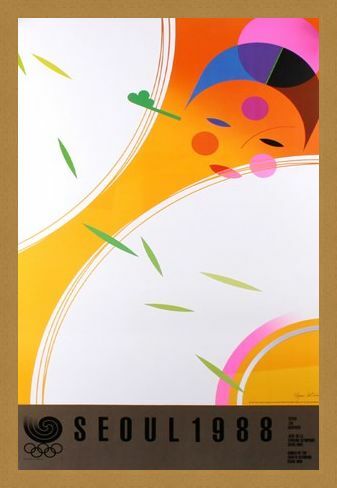 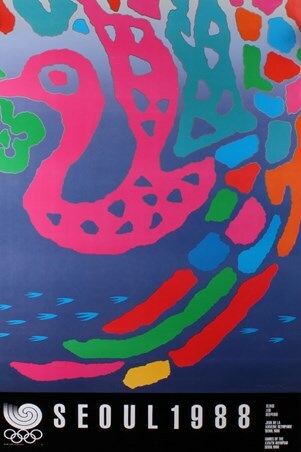 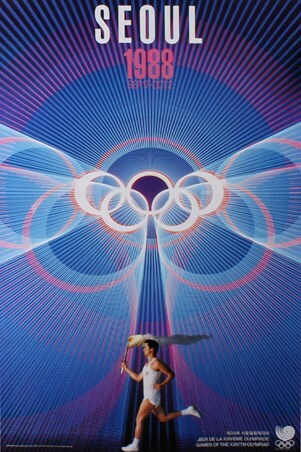 High quality, framed Woman Fan Dance Commemorative Art Print By Kim Hyun, 1988 Seoul Olympic Games limited edition print with a bespoke frame by our custom framing service.